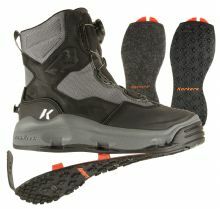 Super high performance, comfortable boot. Easily switch from sticky rubber sole to studded sticky rubber w/studs. Soles securely attach - no worries. Waterproof materials reduce water absorption and dry fast!